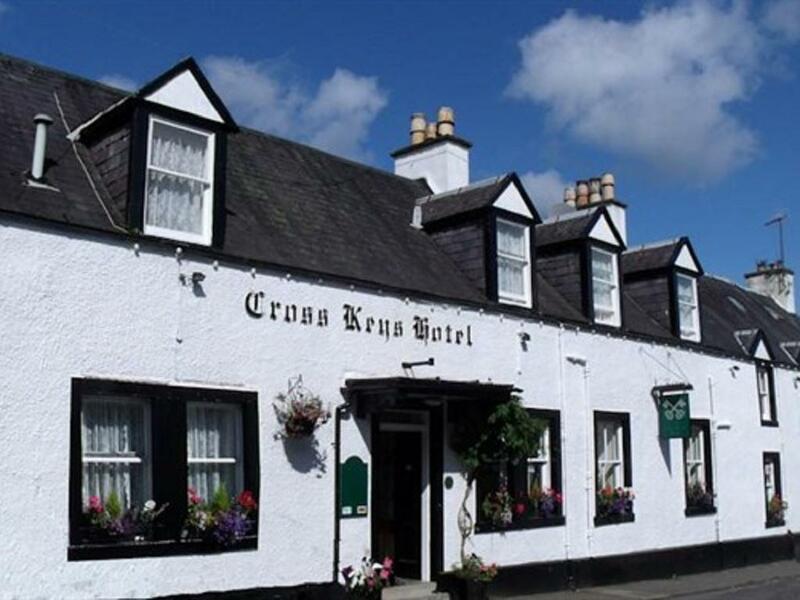 Welcome to The Cross Keys Hotel based in the centre of New Galloway - the smallest and most picturesque Royal Borough in Scotland. We are at the top of Loch Ken and on the edge of the Galloway Forest Dark Sky Park. An ideal base to explore this beautiful and undiscovered part of Scotland. The Cross Keys Hotel is a privately owned and run characterful, small hotel, In this stunning location, The Cross Keys Hotel proprietor Susan O`Hare and all hotel staff offer excellent attention in a relaxed, informal atmosphere. Lovely comfortable, cosy rooms, a local produce restaurant and a traditional Village Inn - with a wide selection of malts - will ensure that you have a memorable stay. The Cross Keys Hotel in New Galloway is the perfect location to unwind and explore the outstanding natural beauty of South West Scotland. Visit us and enjoy the warm friendly service and modern comforts of this charming old hotel – and you will want to stay longer! !